Annie Hall (1977) is cinema’s most accidental masterpiece. 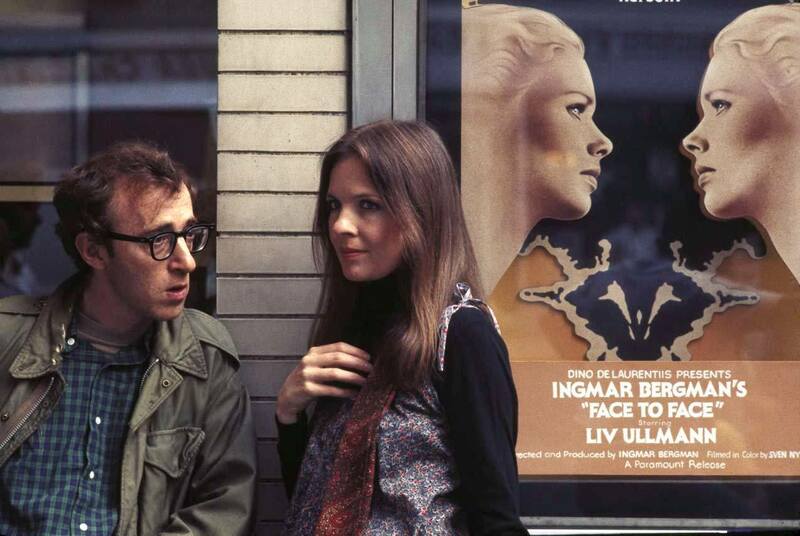 The story compass was supposed to cover Alvy Singer’s (Woody Allen) life and his many failures with women, his many disillusions leading up to middle age. The original title was aptly “Anhedonia,” a condition that describes the inability to experience pleasure. It had a murder subplot that eventually became the genesis for “Manhattan Murder Mystery” (1993). Allen and film editor Ralph Rosenblum’s first cut ran two hours and twenty minutes. Allen said it was supposed to be a stream of consciousness comedy on a malcontent Jewish comedian. But what came out was a clumpy cut, overly cerebral, and reeked of pretentiousness. 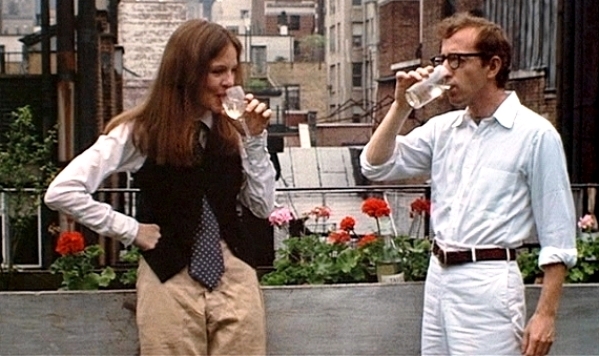 Through test screenings, it was realized that Diane Keaton’s Annie Hall was everybody’s favorite character. To save the film from what was in first form a disaster, the footage was reshaped to focus on Keaton, pared down to a slim 93-minutes, retitled “Annie Hall,” and angled more on the turbulent comic relationship between two neurotics in love. During the 70’s, Keaton was considered the kooky actress of its time. The Annie Hall look, with tomboyish Ralph Lauren threads, became a popular trend: Women everywhere began copying Keaton by wearing vintage clothing, neckties, vests, baggy pants and fedora pants. She’s neurotic but lovely at the same time. Her quirks are charming. Her intelligence glows. 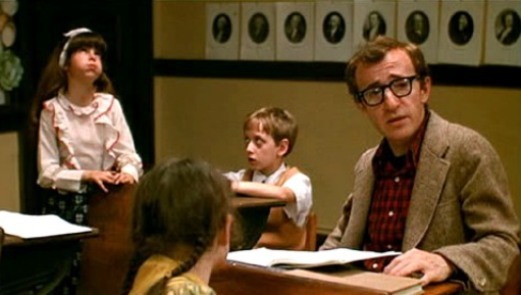 If you consider Allen’s intentions and how he compromised his vision, “Annie Hall” is messy and chaotic – part of its charm ironically. Irreverent episodic and interrupting thoughts construct it into what it is. Here are some oddball delights: Alvy Singer talks directly to the audience to commiserate his frustrations with us. Flights of fancy such as growing up underneath the Thunderbolt rollercoaster at Coney Island. An animated diversion with Annie Hall outfitted as the Evil Queen from “Snow White.” Adult versions pay a visit to their younger selves, as if they have moseyed casually into a long-past time capsule – this device is taken from the 1957 Swedish drama “Wild Strawberries.” Split-screen effects of characters in two separate locations, commenting directly on their relationship. And how about the absurdist comedy such as lobsters on the loose in the kitchen that is just sooo random? For me the final result is a perfect comedy, a film that is one of my twenty favorite films that I have ever seen. It was the first Woody Allen film I had ever watched (at 13-years old) and immediately it prompted me to watch as many of his movies that I could after that. I can’t remember what came second. “Bananas” (1971)? “Manhattan” (1979)? “Zelig” (1983)? I can never remember what came second. I might have been so in love that I watch “Annie Hall” twice before I got onto a new one. I might not have understood all the jokes that year, but I got 80% of it at age 14, and a decade later, I finally understood triumphantly its’ more obscure comedy. Every few years returning to it, you pick up something new. 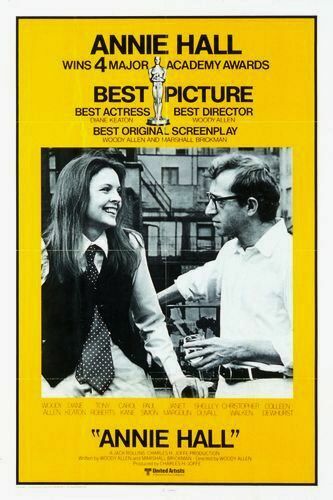 The end of 1977 saw Woody Allen’s “Annie Hall” conquering award ceremonies left and right, culminating with four Oscars including Best Picture, Best Director, Best Original Screenplay (shared with Marshall Brickman) and Best Actress Diane Keaton. The film played later as a gallery of cameos: Spot young actors like Christopher Walken, Shelley Duvall, Jeff Goldblum, Beverly D’Angelo, and Sigourney Weaver making early screen appearances. We live in a world that often feels inhibited away from open expression. We need movies like “Annie Hall” to remind us that people in modern society can still talk about random ideas with unbridled freedom and wit. Absurd, lovely, clever, analytical, ruminating ideas all done in an affectionate and funny style. The film is all pleasure. Film Cousins: “Wild Strawberries” (1959, Sweden); “Manhattan” (1979); “Stardust Memories” (1980); “High Fidelity” (2000).